While ADATA has a wide variety of budget SSDs on offer, it also has a growing number of more premium offerings. Under review today is one such drive, the SATA-based SU900, an MLC drive with a five-year warranty. Let’s see how it performs compared to other drives in the same budget range. Solid-states drives have been around for over a decade, which is why it is amazing to see so many PCs still shipping with spinning platter drives as the only option. It is true SSDs have a long ways to go for replacing spinners for basic data storage, but as the OS drive for desktops and laptops, SSDs are an essential piece of kit. Nothing bogs down Windows (or your OS of choice) more than waiting on random disk access queries, or the system sitting idle for seconds at a time while a large office document is found and loaded. Today we are back to take a look at ADATA’s SU900 SSD. 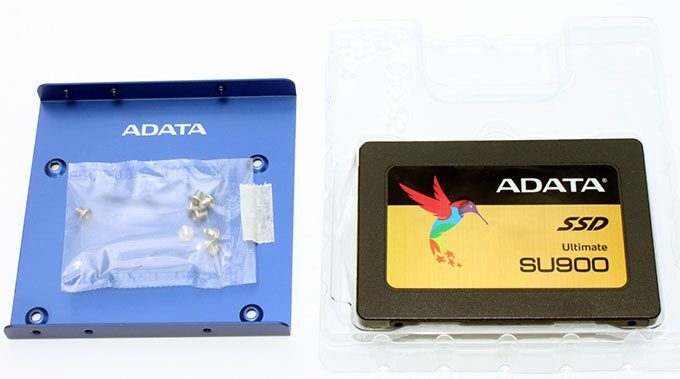 We have already reviewed ADATA’s SU800 and budget drives such as the discontinued SP550 previously, but the SU900 is ADATA’s current high-end model for the SATA 6Gbps (SATA 3.0) market, only surpassed by the XPG branded SX950. Solid-state drives themselves have long ago grown so fast as to be bottlenecked by the SATA 3.0 interface which is why M.2 drives have become the de facto choice for high performance models. But as a daily driver, SATA 3.0 drives generally remain more economical and offer most of the benefits of SSDs. Random access latency generally remains the same whether it is a SATA 3.0 or PCIe x4 capable M.2 drive, the only major differences are peak performance, raw throughput potential, and for premium drives, sustained performance over long duration heavy write workloads. The SX950 is ADATA’s premier SATA interface offering, though in comparison to the SU900 its only differences are a longer warranty and increased over-provisioning of the flash. The next rung up the performance ladder is a big jump to ADATA’s XPG GAMMIX S10 entry-level M.2 drive, which we will be reviewing next. As the SU900 shares the same Silicon Motion SM2258 controller as the SU800 we can expect similar levels of performance. The main difference is the SU900 upgrades the 3D NAND from TLC to MLC which should offer better sustained performance and appreciably longer flash endurance. 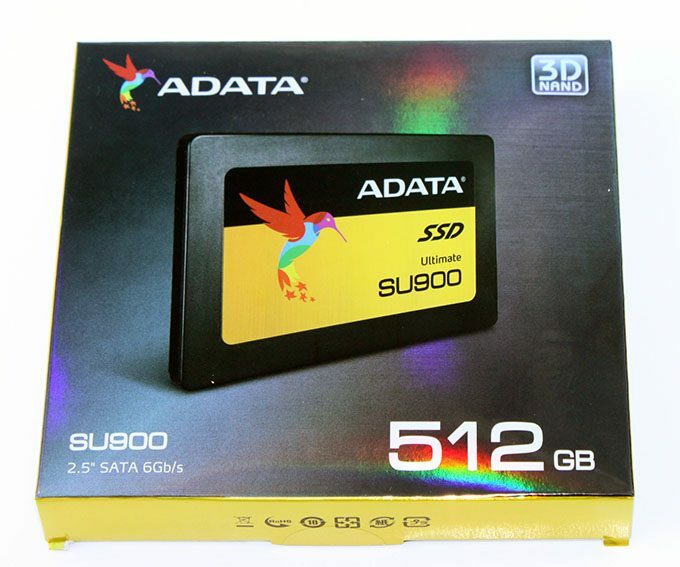 For typical consumer use, a modern MLC SSD will likely outlast the system it is running within, which is probably why ADATA raises the SU900’s warranty to five years. That isn’t the only thing raised, the SU900 commands a much higher price premium over its SU800 sibling, as well placing it fairly close to budget M.2 drive prices. It is important to highlight that the 128GB model will suffer from reduced performance as there are insufficient NAND chips to fully populate the SM2258’s four channels. Saving a few bucks to buy a 128GB model SU900 won’t end well, consumers will see much better performance by choosing a 240GB SU800 than a 128GB SU900 given the similar pricing. Unfortunately, this is simply due to the ever increasing capacity of NAND chips and is true of pretty much all 120/128GB SSDs made today regardless of brand. It is also the same reason why 64GB drives haven’t been offered in several years. DRAM (Nanya DDR3) 256MB? 256MB? 512MB 512GB? 1GB? Street Price $63 $134 $210 $330 $??? The SU900 offers the same pseudo SLC fast-write caching as the SU800. Instead of a fixed allocation, the drive will dynamically adjust the SLC fast-cache size based on overrun of the SSD’s DRAM cache, though the maximum size of the fast-write cache is not given. The DRAM cache size itself is also not listed, although by opening the drive we can confirm the 512MB model houses 512MB of Naya DDR3 cache. It is likely smaller capacity drives that utilize a 256MB DRAM buffer, but that is simply conjecture at this point. It is worth noting that while a 2TB model is listed on the specifications, it does not appear to have been released to market at this time. ADATA includes both a small 7mm to 9.5mm height shim, as well as an aluminum 2.5″ to 3.5″ bracket to allow the SU900 to fit into practically any laptop or desktop. ADATA offers a download of Acronis True Image HD for data migration use with its SSDs. Also available is ADATA’s SSD Toolbox software which provides firmware updates, secure erase functionality, OS optimization, drive status information, and of course diagnostic options. It also provides a quick “Total Bytes Written” indicator to easily satiate curiosity over total wear on the SSD without having to wade through the drive’s SMART data. To ensure all drives have fair representation regardless of capacity in our testing, we use IOMeter to conduct continuous file writes beyond the rated capacity of each SSD. This will make sure every block has been written to at least once, including the unaddressable spare area present on all solid-state drives, ensuring all drives begin testing in a normalized “dirty” state. SATA drives are tested on an Intel 6Gbps SATA port, while PCIe cards will use the PCIe Gen 3 x8 slot to the processor. M.2 drives will make use of an NVMe compatible PCIe adapter card in this same slot to bypass the M.2 x2 interface bottleneck (some motherboards only offer an x2 lane M.2 port), allowing drives to utilize the maximum bandwidth (PCIe Gen 3 x4) that the M.2 interface supports. Where applicable, we will ensure M.2 drives are using the NVM Express protocol. The test system’s processor has had Intel’s Speedstep and Turbo Boost functionality disabled, and all cores are locked to the same 3.7GHz frequency in order to ensure maximum consistency between test runs.